The Five Fs blog: Meal Planning Monday - a finally getting back to normal edition! Meal Planning Monday - a finally getting back to normal edition! We've been away for at least part of three of the last four weekends and with going back to school, I feel like I'm fighting just to stay on top of things. This week should be quieter - although I have parents evening on Wednesday, a possible night out on Thursday and the usual things that the kids do. But the weekend - that's free, hurrah! No packing, tidying up before I go, travelling, washing when I get home and all that other stuff. Phew. I've tried to go for easyish stuff all week and I'm trying a recipe from a book I'm reviewing at the weekend, so I'll tell you how that goes later. I will finally FINALLY get to make Moroccan chicken this week - events have conspired against me in previous weeks! Here, then, is our week. 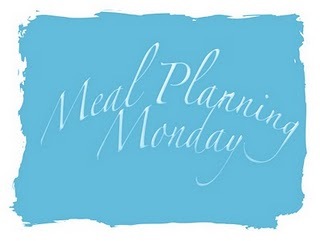 Don't forget that the lovely Mrs M has the Meal Planning Monday linky over at hers. Bon appetit - what's on your menu this week?